Preventing mitochondrial disease: Can three (parents) be the magic number? Since September 2012, there has been a consultation in the UK on whether to allow the creation of three-person embryos. This may sound like an odd debate to be having, but there is a good reason for trialling this technique: to reduce the risk of genetic mitochondrial disease. Often referred to as the “generators” or “batteries” of a cell, mitochondria provide the energy required for the cell to work normally. Each mitochondrion is tiny, only about 1 μM (1 thousandth of a millimetre) long, but their function is essential. Several mitochondria are found in each cell – the higher the energy requirements of the cell, the higher the number of mitochondria found there. The curious thing about mitochondria is that they have their own little set of DNA. This DNA is responsible for the production of the building blocks that make up oxidative enzymes – proteins which are important for energy generation. 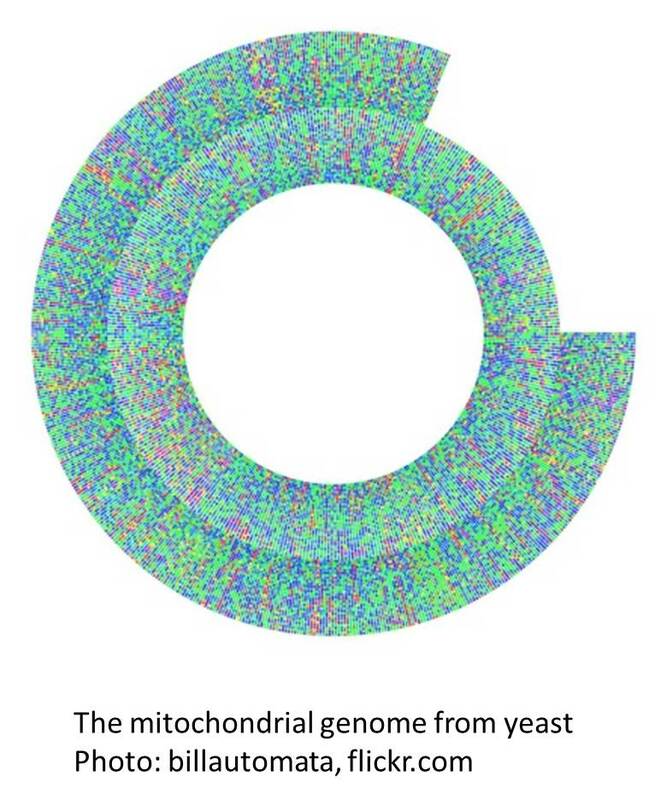 Mitochondrial DNA consists of 16,569 base pairs, a tiny fraction of the 3.3 billion base pairs found in the nuclear genome. Mitochondria have many unique features not found in any other part of the cell. Their DNA is circular – this is a feature normally found in bacterial cells (also known as “prokaryotic” cells), whereas humans and other animals store their DNA as strands in the nucleus (these are called “eukaryotic” cells). Mitochondria also have their own unique set of ribosomes, the machines which make proteins in the cell. These distinctions have led scientists to theorise that mitochondria may have a different origin to the rest of the components in a cell. It is thought that they were once free-living organisms, something like bacteria. A long time ago, in the early days of evolution, these bacteria invaded an early incarnation of a cell. Both bacteria and the cell were able to co-exist perfectly together – the cell provided the bacteria with essential proteins and the bacteria were able to generate plenty of energy which the cell could use. It’s a bit like if your house was invaded by Pikachu – he would provide you with free electricity as long as you kept him well-fed. Both of you would benefit from the arrangement. As this partnership worked so well, the bacteria were eventually assimilated into the cell and became a permanent feature. This is known as endosymbiosis – a mutually beneficial co-development of host and invader. Mitochondrial disease affects each sufferer differently. The affected mitochondria may only be in one tissue type or they could be in several. The most commonly affected organs include the brain, muscle and kidneys, because these require a lot of energy. There is a huge variety of symptoms, making it very hard to diagnose. Some types of mitochondrial disease have more common symptoms and so are termed under collective names –such as Alpers’ Disease and Leigh Syndrome. The onset is usually in childhood but it can also develop in adults. About 4000 children a year in the US are affected by mitochondrial disease and in severe cases it is fatal, with the child unlikely to reach adulthood. So far, there is no known cure. Every embryo contains three separate genetic components: DNA from the father, DNA from the mother and mitochondrial DNA. These are brought together when an egg cell, containing both maternal and mitochondrial DNA, fuses with a sperm cell containing paternal DNA. In cases of mitochondrial disease, the mitochondrial DNA in the egg cell is damaged, and this damage can be passed on to the child who may then develop disease symptoms. By creating three-person embryos, scientists are hoping to prevent mitochondrial disease by replacing the faulty mitochondria with normal ones before the embryo develops. There are two techniques to create three person embryos which are being discussed. The first is called “maternal spindle transfer”. The idea behind this is to take an egg from the mother and remove the nucleus containing all of her genetic material apart from the mitochondrial DNA. A donor egg with healthy mitochondria has its nucleus removed and replaced with the nucleus from the mother’s egg. The egg will then be fertilised by the father’s sperm, in a similar way to conventional IVF. The maternal spindle transfer technique has been successful in animal trials. In human trials however, only about half the eggs made using this technique developed normally. The researchers involved still think the results are encouraging enough that the technique should be allowed to go the next stage: clinical trials. Currently, this is illegal in both the US and the UK. The present government debate is whether to change the law to allow these clinical trials to occur. The second technique is called “pro-nuclear transfer” and involves fertilising both the mother’s and donor’s eggs with the father’s sperm. Before the eggs divide, the nucleus is removed from both eggs, and the nucleus from the mother’s egg is placed in the donor’s. Doug Turnbull and his team at Newcastle University in the UK have pioneered this technique and have successfully developed embryos to about 100 cells (the “blastocyst” stage). 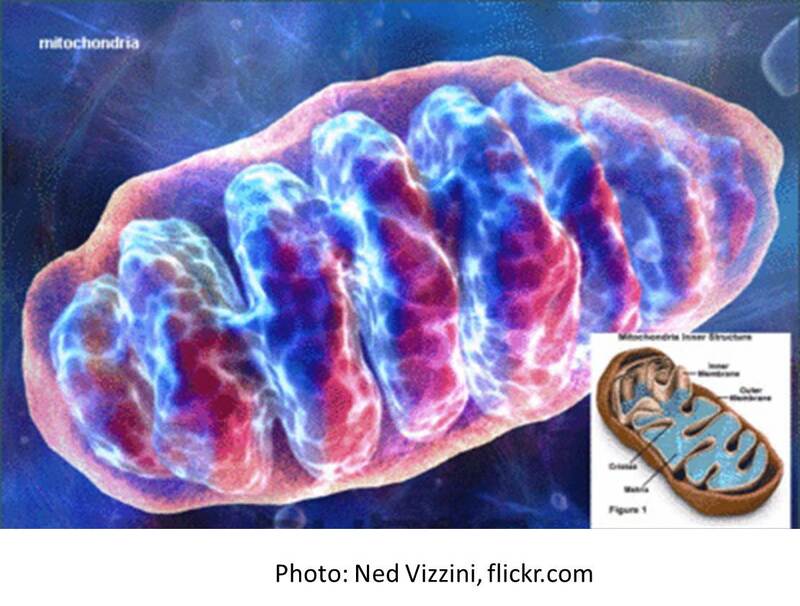 Mitochondria contribute only a tiny amount of the DNA to a person’s genome. Therefore, a three-person embryo would consist mostly of the DNA from the father and mother, with only a small proportion coming from the donated mitochondria. There is much controversy surrounding “three-person embryos”. For starters, the phrase itself sounds a bit weird and unnatural. What’s more, there are multiple ethical issues and moral arguments, such as “interfering with nature” or who will have parental rights. Some people are worried about what impact having three genetic parents would have on a child’s development. Others point out that this won’t cure existing sufferers; it would just prevent new babies from being born with the disease. Furthermore, it is not known what effect this technique could have on future generations. However, the concept of “three parents” is not as bad as it sounds. The tiny mitochondrial genome is only responsible for certain basic processes. So, it appears unlikely that having the mitochondria from another person will have a big impact on the development of the characteristics of the embryo or the child, such as its appearance or personality. It may be possible to reduce any “three-parent” risks by using mitochondria from a family member of the father. The mitochondrial genome is always inherited from the mother, as mitochondria are present in the egg at fertilisation. In the same way, the father’s mitochondria will have been inherited from his own mother. Donation of an egg from a maternal relative of the father (his mother, a sister or maternal aunt) would ensure the embryo would still inherit the exact mitochondrial DNA of one parent, in this case, the father rather than the mother. The concepts and techniques behind mitochondrial donation have been subjected to ethical reviews, which concluded that the techniques are promising but that more research is needed. However, doing further research would require a change in the current law as genetic modification has never been tried to this extent in humans. The Human Fertilisation and Embryology Authority (HFEA) have been consulting public opinion of three-parent embryos. They published their results in March 2013, finding that 44% of the 1000 people surveyed approved of the technique, with 29% against it. However, an open online questionnaire found that 455 people were in favour with 502 against. So, public opinion is clearly divided on the issue. I think the term “three-person embryos” or “three-parent babies” should be dropped because it has alarming connotations, making the technique sound strange and unnatural – a bit like the “Frankenfood” label given to GM crops. Describing it as “mitochondrial donation” may encourage people to understand its potential benefits and may help dispel controversy. The very existence of mitochondria in our own cells proves that something that seems unnatural can be benign or even beneficial – if those proto-bacteria hadn’t invaded the host cells all those millions of years ago, life as we know it would never have developed in the first place. The UK has always been at the forefront of scientific innovation, especially with fertility. This was highlighted by the recent passing of Sir Robert Edwards, one of the scientists who pioneered the IVF technique (unfortunately his death in April 2013 was somewhat overshadowed). His legacy was to bring desperately wanted children into the world, and now we have a chance to improve on that by adapting his technique to reduce suffering. I sincerely hope the government gives the green light to further investigate this concept. Of course, lots of work still needs to be done before the technique can actually be used, if it can be used at all. However, I think the researchers should be given the opportunity to develop this potentially life-saving technique. News and Views: The Festival of Neuroscience – A 5 minute guide. News and Views: The Brain Activity Mapping Project – What’s the plan? This is an interesting theory, is it proven? No, it’s not proven yet. The research is still very much in its infancy. The researchers need the government to tweak the law so they can investigate it further, as currently you can’t create embryos with that amount of genetic modification. Hey there, I jumped over to your web-site via StumbleUpon. Not a thing I generally read, although I enjoy your ideas none the less. Many thanks for writing some thing worthy of reading!